St. Thomas Aquinas High School values and protects your privacy. We are committed to maintaining the privacy and accuracy of your personal information and to protecting such information from misuse, disclosure, alteration, and unauthorized access. Our Statement of Privacy describes how St. Thomas Aquinas High School treats information provided to us when you use the St. Thomas Aquinas High School Web site. Please read this Statement of Privacy carefully. Personal Information is not required to use the St. Thomas Aquinas High School site. Prior to completing any St. Thomas Aquinas forms, personal information provided will be used for contact purposes only. 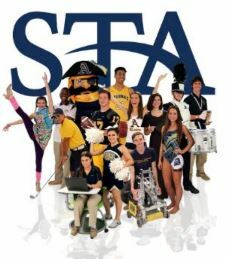 St. Thomas Aquinas High School takes reasonable steps and uses appropriate technologies to secure your Personal Information. These efforts increase the security and privacy of information traveling to, from, and within the St. Thomas Aquinas High School network. 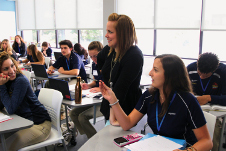 St. Thomas Aquinas High School protects your Personal Information from unauthorized access. Only authorized school employees are permitted to access Personal Information. Employees who violate the school privacy access policies are subject to disciplinary actions, including termination when appropriate.